The Winter Solstice is a time of the rebirth of the sun - celebrating the age old cycle of birth, death and rebirth. It is a time of rest, reflection and tending to our inner world. It’s a time to follow the wisdom of the plants and return down to our roots - to be nourished by the old stories and reflect on our lives. Yet the modern world gets carried away in a trance of consumerism, the darkness vanished by dazzling displays of lights and bad music cranked up at full volume to fill in the silence. 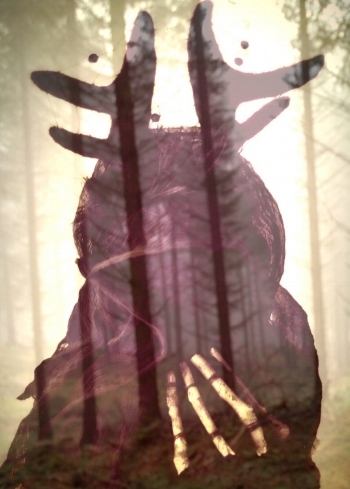 Folklore and stories will introduce you to this old antlered one and in particular the case of the Deer goddess in Scotland. We will move between the worlds in our guided journey to meet ‘She Who Runs With the Herds’. There will be the opportunity to create art from your journey experience and record your impressions. In the afternoon we will create a doll inspired by the priestesses of the old antlered one as well as any insight you might have gained from the meditation/journey. While all art materials will be available you ay wish to bring special personal embellishments you would like to use. You will receive a little bag of actual reindeer hair which we will place in the core of your doll as you create her. We will also discuss the threats to Reindeer today and how we can help support the people fighting for their rights. The Sisterhood of the Antlers Reindeer Herd! Early booking discount – The cost for this workshop and all materials is $125 with an early booking discount of $98 if you book before the 5th December. Click on the image below to sign up.